Comic book artist Dennis Sweatt is a self taught artist who teaches drawing basic anatomy in Sonora, California. His web comic Outcast Zero, is in pre-production with a release set for June in paperback. 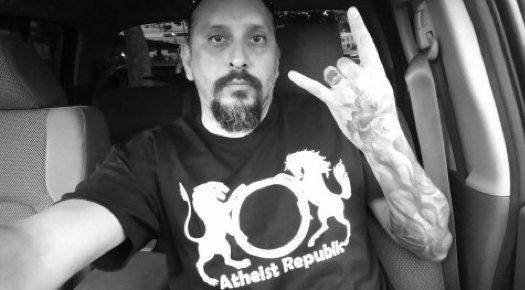 Dennis completed his journey from theism with overtones of agnosticism to atheism in 2013 while taking a philosophy class at Columbia College in California.